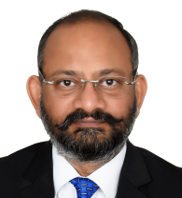 SHASHI SHEKHAR- NEW MD, CAMFIL AIR FILTRATION INDIA PVT. LTD.
Shashi joined Camfil India as MD this month, succeeding PKSV Sagar, who has taken up a new role as CEO- Business Integration, GMR Group. He was also part of the Chamber’s Board for several years. In his new role he will lead Camfil’s business in India as well as manage distributors in Sri Lanka and Bangladesh. He has extensive experience working with a diverse range of companies including Sandvik. Shashi is based out of Camfil’s head office in Gurgaon, NCR.